Everybody loves a party, particularly if it’s for them. When it’s time to plan your child’s next birthday party you may be at a loss. I thought I knew exactly what kind of party my daughter would want for her birthday this year, but when I started to talk to her about all the ideas I had, she shot them all down! Evidently, the things I thought she would like were all of a sudden “for babies.” So we had to come up with a different plan. 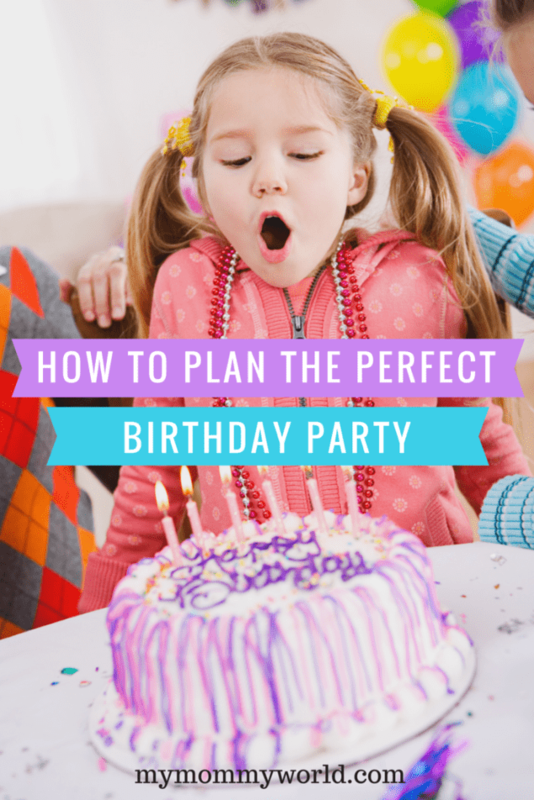 The following ideas will show you how to plan the perfect birthday party, giving you a checklist of things to do and when to do them. Start talking to your birthday boy or girl about what they want to do for their birthday. Get them to start thinking about a theme and how many people they want to invite. It’s also a good time to get on the same page in terms of what you want the party to look like. There were times when I had a small party of 10-15 kids in mind, while my kids wanted to invite their entire class as well as other friends from church and the neighborhood. It was better to talk about their expectations well in advance, instead of letting them be really disappointed so close to the party if you cannot invite as many kids as they want, or can’t afford the cool new place that “everyone” is using for their parties. Choose a party theme. Help them solidify their guest list so you can buy and start preparing invitations. Decide when and where the party will be. It’s helpful to do this task this far in advance. I know that my kids and their friends like to talk about their party to their friends, but there is a chance for hurt feelings if the party is mentioned in front of kids that aren’t going to be invited. It’s good have the guest list in mind before they start inviting everyone they see. Mail out the invitations, being sure you include an RSVP. Let guests know what time the party will end as well as start so parents can pick their children up on time. You’ll want to include a specific date for them to RSVP – a good idea is to make this one week before the day of the party. 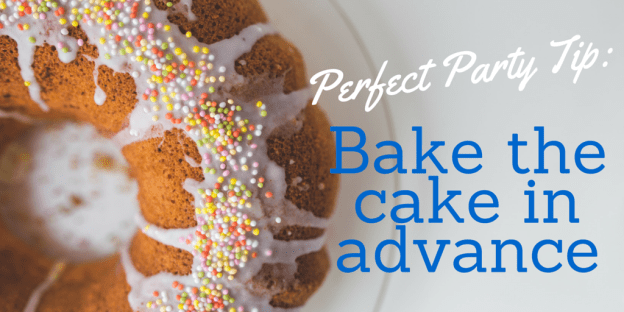 If you really want to have as much prepared in advance as you can, now is a good time to bake the cake if you’re making it yourself. You can freeze the layers or any cupcakes you make so they’re already made and ready to be decorated when the date of the party arrives. Ask other adults to help you at the party. A good ratio is one adult for every five children. Begin buying the paper goods and decorations. Plan what foods you’ll serve other than cake and ice cream. You can start purchasing some non-perishable items. Decide what games or activities to have, if any. This is the RSVP date. Keep track of everyone who has responded and who hasn’t. If you haven’t already baked the cake, now is the time to order it from the bakery. You can also prepare other foods which can be made ahead of time and stored in the freezer. Finish buying the remaining food and beverages. Call any parent who hasn’t responded to let you know if their child will attend. Know how many people to expect. Make sure you have batteries, or batteries charged, to be able to commemorate the party by taking photos or video of the party. Pick up the cake from the bakery or decorate the one you made. Make the punch or be sure you have plenty of ice for drinks. Decorate the party area if it is indoors. If the party is outdoors, decorate the day of the party. Finish decorating the cake and setting food out. Have your child greet the guests as they arrive. Designate a place for the gifts. Have a small activity to keep guests busy until everyone arrives. When everyone is there it’s time for the party to begin. Be sure to take plenty of pictures or videos to help your child remember their special day. Take candid pictures or ask another adult to take the pictures so you can be in them, too. Knowing how to plan a fantastic birthday party isn’t difficult. It’s simply a matter of organization and having a set checklist of when things should be done. The more organized you are in planning, the better able you will be to enjoy the day along with your child. So many good tips, Erin. My kid’s birthday parties have always been family type events. I always let them decide what food they would like to have, since we usually do a dinner party for each birthday. They also get to pick the kind of dessert. It’s funny we rarely have cake at a birthday. The kids prefer to have pie or homemade ice cream. I try to do as much as I can ahead of time to make it easier on the day of the party. That’s so nice that your kids love to have your homemade pie or ice cream for their birthdays! We always had cakes growing up, so I never really thought about serving anything else. That sounds so nice Sandra! We didn’t actually have a birthday party for our kids this year, but they have been invited to so many parties by friends from the neighborhood or from school that I think it’s time we return the favor. By breaking down all of the planning into little tasks, it makes the party seem a lot easier to put together.